A lot goes into choosing a dealership to shop for your next car, and you want to be sure you pick a dealership that will handle all your needs, long after the sale is complete. Fortunately, Marino Chrysler Jeep Dodge Ram has made it quick and convenient to find a used Jeep dealer near Chicago, IL. Discover the many benefits of working with our dealership and see why we’re the top choice for finding a used Jeep model in Chicago, Skokie, Park Ridge, and Forest Park. 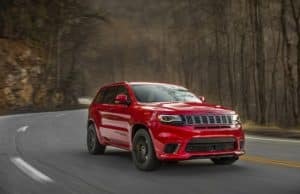 If you’re shopping for a used Jeep model such as the Wrangler, Cherokee, or Grand Cherokee, choosing the right dealer is just as important as finding the right car. In addition to our wide selection of vehicle options, complete with some of the most desirable features on the market, we also have a friendly and knowledgeable team ready to cater to your every need. From tough and capable Wrangler models to a family-oriented option like the Grand Cherokee, we know we can find the perfect Jeep model for your needs. Whether you need help finding the perfect vehicle, you want guidance in choosing an auto financing option, or you’re looking for a skilled team to care for your vehicle’s maintenance and repair needs, we’re up to the task. We’re here for all our customers’ automotive needs, so take a look at the links on this page to learn more about our services. In addition to locating information regarding all your automotive needs, you can use our site to find out more about the Illinois communities we’re proud to serve. There’s a lot of excitement and interest in a city as big as Chicago, IL, which you can read all about here. We pride ourselves on helping local drivers as much as we can, whether it’s related to dealer services or about supporting our local community. 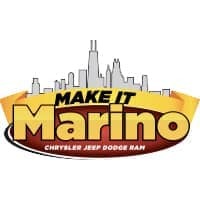 If you’re in the market for a used Jeep dealer near Chicago, IL, Marino Chrysler Jeep Dodge Ram is the place for you. We’re always happy to help customers in Chicago, Skokie, Park Ridge, and Forest Park with all their vehicle needs, so call or stop by our dealership today to learn more about our services and get started with your used Jeep search!